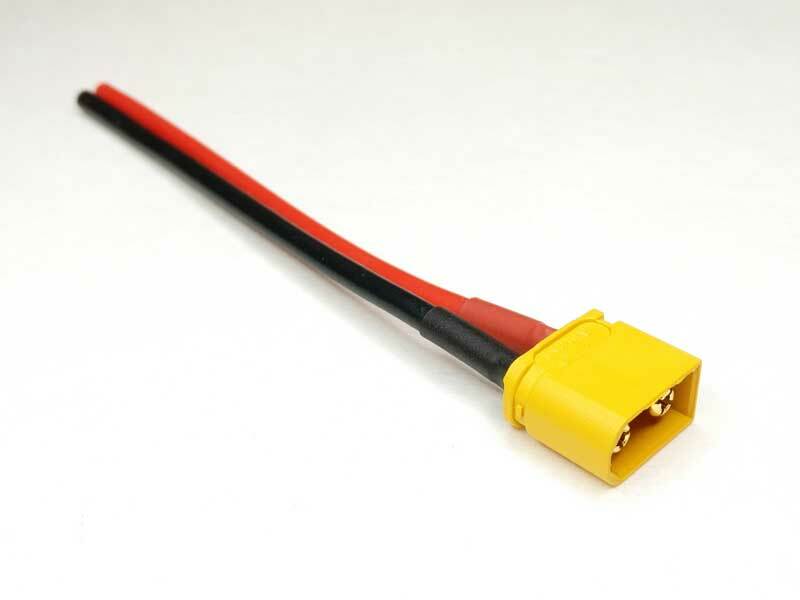 Flexible 14AWG silicone wire soldered to a genuine Amass XT60U connector. 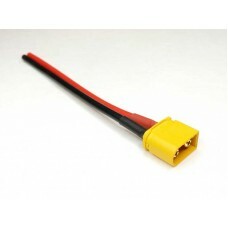 Enough current capability for any miniquad. The XT60U is a "better" version of the XT60. Made with high-temp nylon with gold-plated connector. It is shorter, lighter, easier to disconnect and connect with an integrated grip area. The XT60U is also less likely to deform or melt.